"I want to stop talking about that because AR is clearly the winner and both of them have been around the same amount of time but I think people who do AR or VR really well, do it simply. It's not a convoluted execution." Shing said VR needed to be a depth channel, with more engaging content and a prolonged execution, not a short-term "ploy" that brands lean into because it's "just there". He didn't rule out a future for VR in marketing, but believed it needed to be removed from the broader marketing mix. He argued there are more viable channels, such as AR, that can provide a more "enhanced experiential activation". "Until VR becomes untethered and until it feels like it's not just about stunts, it really needs to be dropped from the conversation," Shing said. 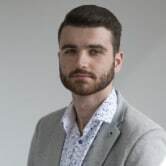 However, he said that's not to say it doesn't have relevance, adding that the best VR brand experiences offer deeper content but also are 'gamified', meaning it asks for prolonged interaction. "The problem is, it's very, very difficult to build that. It's incredibly expensive and there's very little return," he said. "It's also a very fringe part of what a brand could do, compared to what they actually end up doing which is saying 'let's do performance-based marketing and see if we can touch every person on planet earth and then why don't we do some content marketing to go deep with them'." 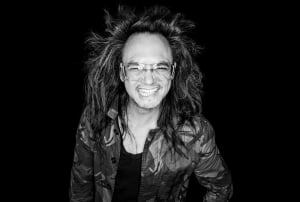 AdNews will be bringing you more insights from Shingy this week, including the role of the CMO and the evolving agency model. Oath 'digital prophet' David 'Shingy' Shing believes virtual reality (VR) has been one of the worst trends of 2018 for brands, adding that marketers need to "stop talking about it" and let it grow organically. Speaking to AdNews, Shing, who is a thought leader for the Verizon-owned business, said it was the "shiny object" that distracted too many brands and marketers this year. He said when comparing both VR and augmented reality (AR), AR was the standout, with brand's engaging with the technology in a more "meaningful" way. "The problem with it is that if it doesn't grow organically, it will end up being like 3D TV and nobody I know on planet earth is sitting around their living room with 3D TV on," Shing said. "It needs to grow organically and it's probably going to be niche. That being said, I believe that niche is a new mass, more isn't actually more and new isn't always news.